Mozambique is a beautiful country situated on the coast of Africa with a huge draw for tourists. As their tourism industry continues to grow, it’s a good idea to put Mozambique on your bucket list of must-see destinations. How long is an entry visa good for? What documents do United States travelers require for entry? Are vaccinations for yellow fever required? If traveling from the United States no vaccination is usually required. If you’re entering from a country where yellow fever is prevalent, a vaccination may be required. 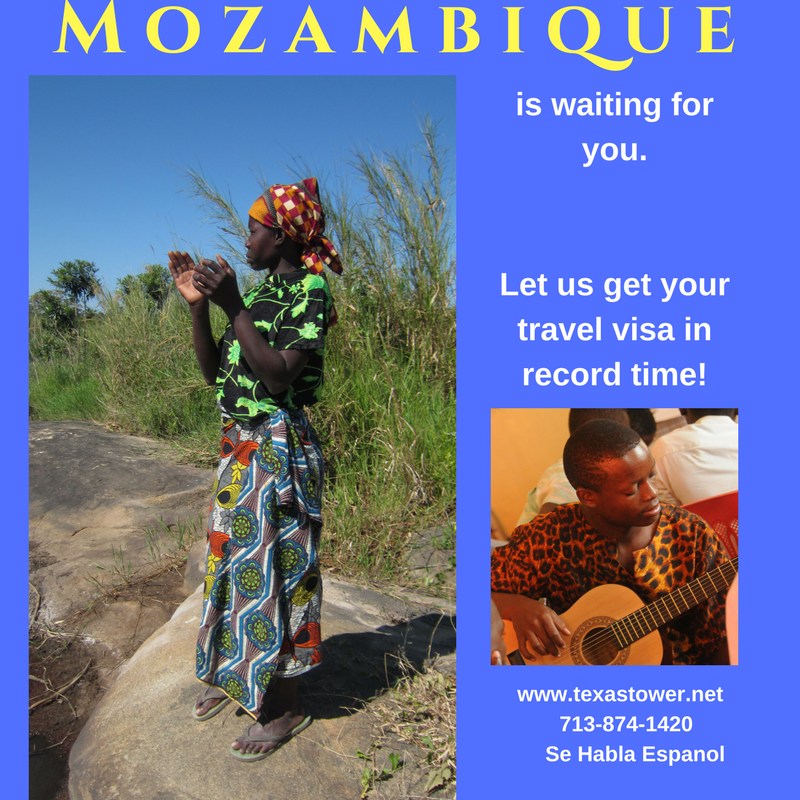 Ready to get your travel visa to Mozambique? We’re ready to assist you! You can get every document you need here on our page for Mozambique travel visas.